Many organizations struggle with the conceptual idea of service asset and configuration management, as it seems too big to be able to cope with, and it may be unclear how it will benefit the organization as a whole. By exploring the steps of the SACM process, we can see how this process can be achieved. 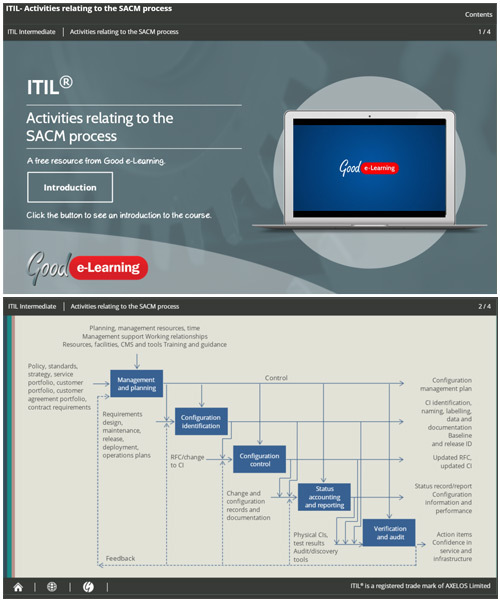 Use this ITIL interactive learning resource to provide the understanding of the benefits that can be achieved by your organization from this important process. Download this ITIL interactive guide today and you’ll also get instant access to over 530+ business & IT learning resources!